Mumbai: The economic slowdown has India’s venture capital firms (VCs) focusing more on shepherding firms they have invested in and going slow on chasing new deals. Firms such as Helion Venture Partners and Draper Fisher Jurvetson, too, say they will do fewer deals. This year saw a reining in of valuations, on the rise since 2006, when venture and private equity (PE) investing returned to India in a big way, in the aftermath of a meltdown in the equities market starting September. PE and venture firms invested $3.75 billion (Rs18,300 crore) in Indian firms in 2008 (until mid-December), data from Thomson Reuters shows. Valuations are expected to slip further in the coming months. “They have already come down by about 30-50% compared to last year, we expect it to come down further by 10-15% in 2009," says Chandrasekhar Kandasamy, managing director, ePlanet Ventures. This may lead to companies raising second and third rounds of financing at lower valuations than first rounds. Such deals, called down rounds, are now beginning to show up in the market, say industry insiders. While this is bad news both for a firm’s founders and current investors, most VCs say they are willing to negotiate down rounds for their portfolio firms, even if that means the funder’s investments are valued lower. “In cases where the current market price is lower than the last round price, we will advice our entrepreneurs to be realistic on expectations, given the current market situation," says K.P. Balaraj, managing director, Sequoia Capital India,?which?has four-five firms in its portfolio looking to raise follow-on funding in 2009. Deals will also take much longer to close than before as VCs raise the bar for investments. “Earlier, if it took four months, it may take six months now," says Kumar Shiralagi, managing director, NEA IndoUS Ventures. In addition to strong management teams and large market opportunities, VCs are now emphasizing capital efficiency as a factor for new investments. “The level of scrutiny and diligence, especially around business models and financial assumptions, will be higher," says Mohanjit Jolly, executive director, DFJ India. VCs will also invest far more in various sectors than before, others say. Firms listed education, health care, logistics, financial services, clean technology and second-generation outsourced services as areas of interest for 2009. “Unlike the consolidation in the BPO (business process outsourcing) space, there is a fair amount of niche work in the KPO (knowledge process outsourcing) space," says Rahul Khanna, director, Clearstone Venture Advisors. While a few funds such as Canaan Partners and NEA IndoUS Ventures say they will continue to focus on mainstay venture sectors of technology and tech-enabled services, others say that visibility into earnings will play a stronger role in investments than sector focus alone. “We will look at sectors with recurring revenue streams in domestic consumption opportunities," says Rishi Navani, managing director, Matrix Partners India, which plans to focus on later-stage growth equity deals rather than early rounds of venture financing. Interest in consumer-focused Internet and mobile services is a bit subdued this year, particularly for businesses that depend on advertising alone. “Too many consumer Internet companies with exclusively ad-funded models were funded over the last few years. Those that raised small amounts burnt a lot of cash," says Promod Haque, managing partner, Norwest Venture Partners, who predicts a shakeout in the area. The year gone by saw homegrown VCs raising their second funds, a sign of confidence shown by limited partners (institutions that invest in equity funds) in India. Domestic venture firms such as Bangalore’s Helion Venture and Mumbai-based Nexus India Capital that began operations two years ago, raised $210 million and $220 million, respectively, both larger than their first funds. 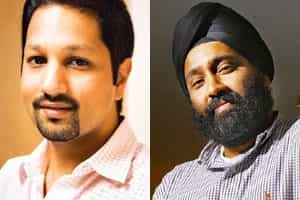 Bangalore-based Erasmic Venture Fund merged with Palo Alto, California-based Accel Partners and raised its second fund of $60 million, while Mayfield Fund closed its first dedicated India fund of $110 million. While fresh capital has been raised by some, the pace of investing will be slow. As start-ups and venture firms ring in a year marked by uncertainty, it remains to be seen how investments pan out in the days to come.